Located in the Mid-West Region of Western Australia, the new Police Station building in Mount Magnet, Western Australia, is located along one of the mining town’s main streets. The design of the new Police Station is of civic nature without dominating the streetscape, and has a presence in the community. The building is clearly identifiable to local residents and visitors as an emergency services facility. 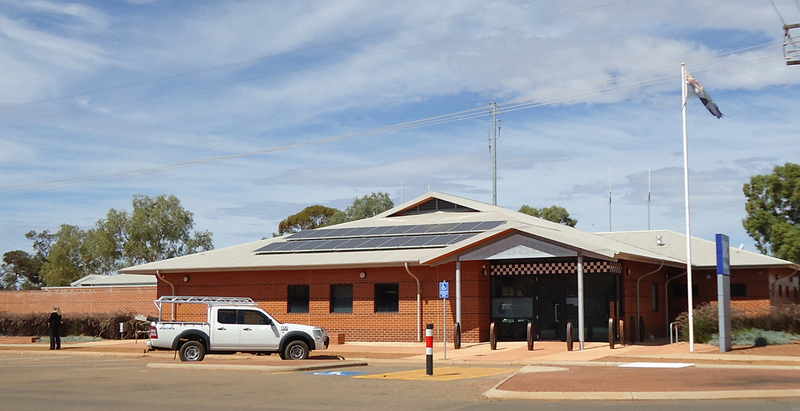 The new Police Station was designed as the node of the mid west regional hub of Western Australia, and accommodates general duties, staff amenities and custodial facilities. As the site of the new building was on the same site as the existing Police Station, the full design and procurement of temporary transportable Police facilities was required to ensure continuous operations of emergency services during construction of the new building. Overall the design of the building integrates well with the Richardson Street streetscape and is in keeping with the Mount Magnet township vernacular.